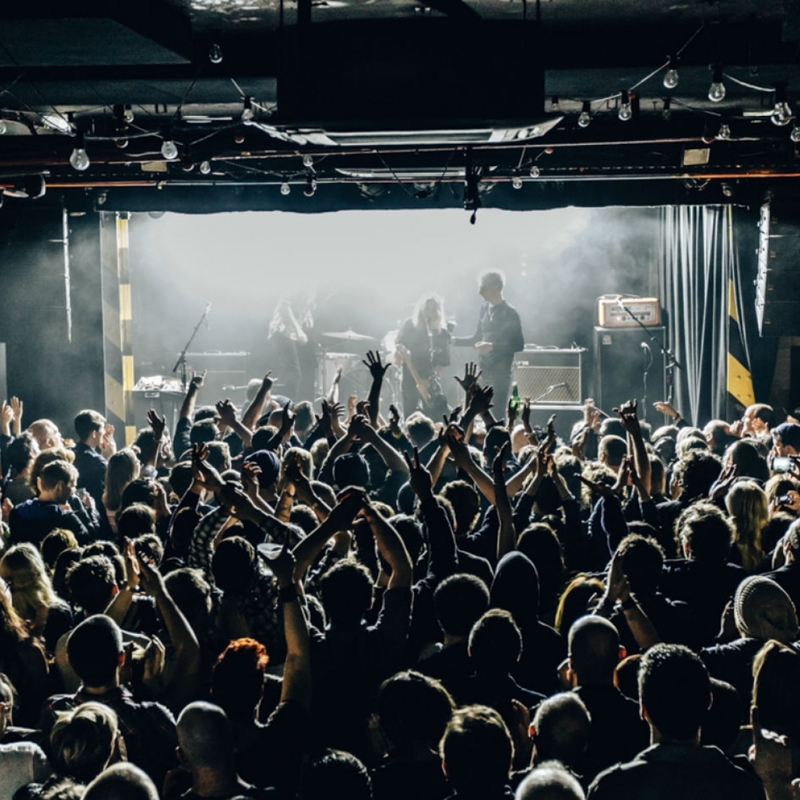 Oxford Art Factory or OAF as it is colloquially known is one of Sydney's premier music venues and it has helped shape the nightlife of Sydney for over 10 years. Inspired by Andy Warhol’s ‘Factory’ in New York during the 60’s, the venue creates a cultural focal point for international and local artists, providing them with a world-class platform from which to showcase their talents to music fans of a variety of different styles of music. OAF has a great lineup of shows on every weekend and a night out here is sure to be one to remember. Oxford Art Factory is a multipurpose / multi room entertainment space with two different sized music venues, main room and Gallery bar as well as a Live Art Space that separate the two. OAF Boss/Founder Mark Gerber has overseen and built this venue into one of Australia's best helping international acts play crazy intimate shows and also nurturing young up and coming artists by allowing them to perform their first shows, launching releases within the intimate confines of the Gallery Bar. Aussie favourites The Rubens, Nick Murphy FKA Chet Faker, King Gizzard & The Lizard Wizard and The Preatures all started out here and are now performing at some of the biggest venues and Festivals in the world. The Oxford Art Factory has hosted some of the biggest acts in the world including Lady Gaga, Prince, Dave Grohl, Josh Homme, Foals + Many Many More! OAF’s success over the last 10+ years is a testament to the incredible city of Sydney and its thousands of art lovers for all different styles, shapes and sounds and sizes! Do yourself a favour and grab a ticket to one of its incredible upcoming shows or sign up to its mailing list to keep up to date with show announces and parties. Museum Station, however both Town Hall and Central Station are within a ten minutes walk of the venue. Many buses travel up Oxford St.